I have just installed Windows Virtual PC along with Windows XP Mode Beta (aka XPM) on Windows 7 RC x64 and I am absolutely amazed with its simplicity and easy to use nature. 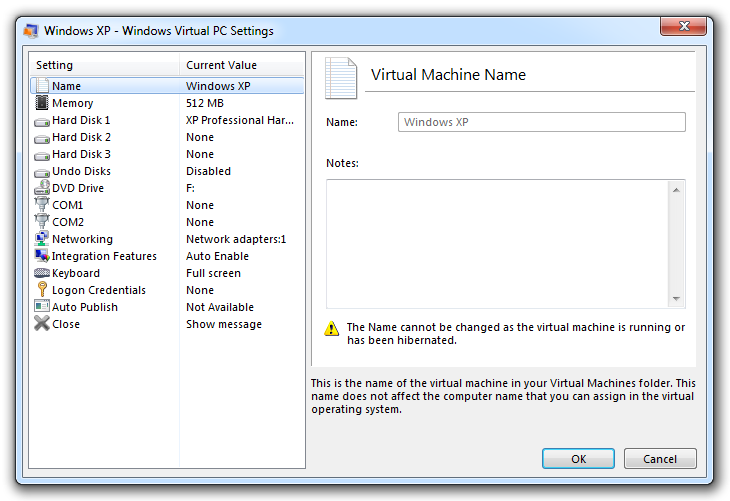 It couldn’t have been made any simpler! 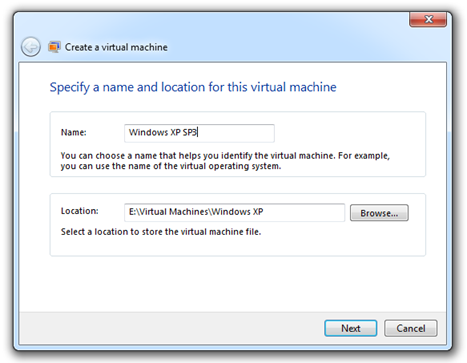 XPM is basically built as a side feature of Windows Virtual PC – the next version of Microsoft’s client virtualization technology and comes with a free fully licensed and pre-configured copy of Windows XP Service Pack 3 (SP3). 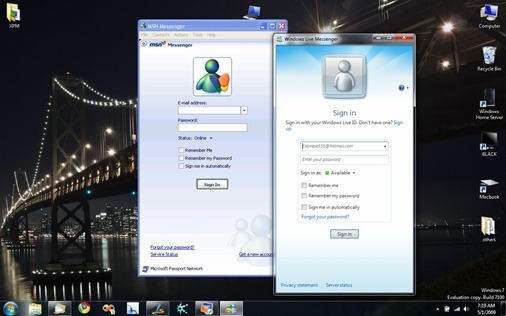 The product consists of two parts, first is Windows Virtual PC which enables you to install Windows XP SP3, Vista SP1 and Windows 7 in a virtualized environment just like in previous version of Microsoft Virtual PC (Check out this comparison chart between Virtual PC 2007 and Windows Virtual PC). Once installed, it is integrated into the Windows Explorer shell from where you can easily install or run your virtual machines. The second part is the real catch! Windows XP Mode or XPM is an optional feature for Windows 7 Professional, Enterprise and Ultimate edition users (specially small businesses) which helps them to upgrade to Windows 7 by providing a virtual Windows XP environment capable of running many Windows XP-compatible applications. 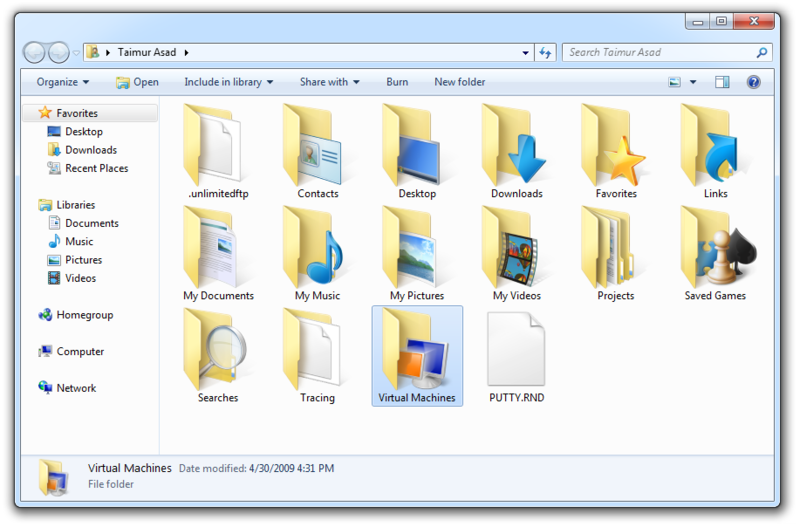 XP Mode enables the ability to run many older Windows XP business and productivity applications directly from the Windows 7 desktop with just a single click! 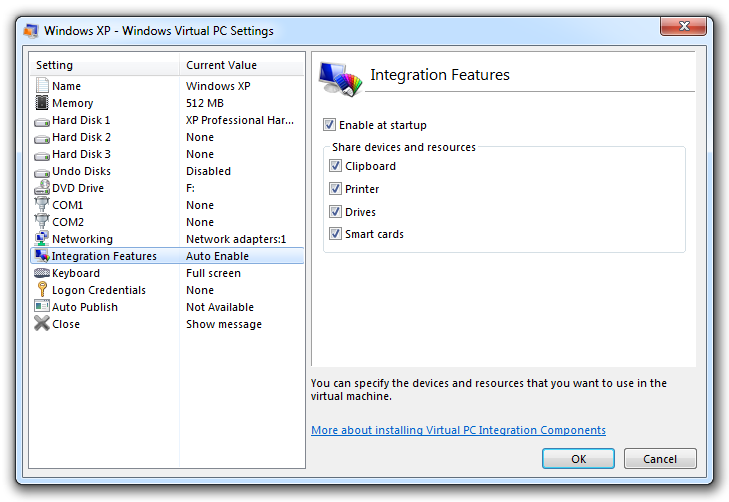 Applications you install in your Virtual Windows XP will be automatically added to your Windows 7 Start Menu under Virtual Windows XP Applications. MSN Messenger 7.5 (from Windows XP) and Windows Live Messenger 2009 running side by side in Windows 7. 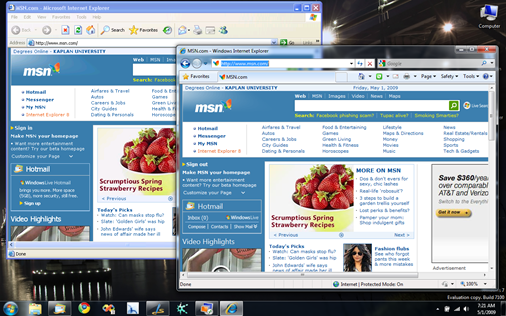 Internet Explorer 6 (from Windows XP) and Internet Explorer 8 (64 bit) running side by side on Windows 7. 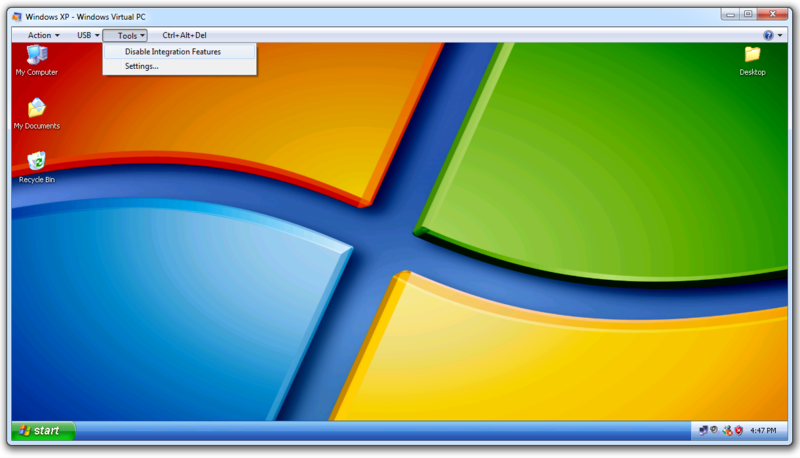 Windows Virtual PC with Windows XP Mode for Windows 7 RC for both x86 and x64 can be downloaded now from Microsoft Connect, TechNet Plus and MSDN. It will be more broadly available on 5th May 2009. 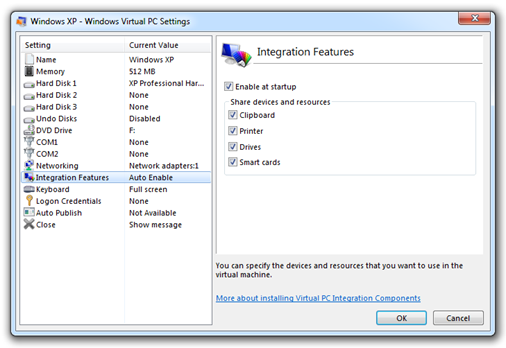 Windows Virtual PC requires PCs with Intel VT or AMD-V hardware virtualization technology enabled in the PC BIOS. 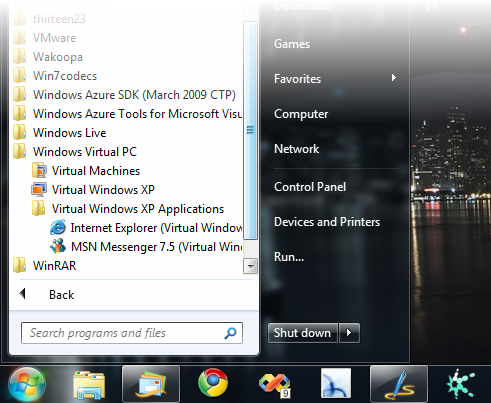 @kim: What I meant there was that I have Windows 7 RC x64 installed as a Host OS on which i’m running XPM and VMware Workstation 6.5 side by side without any problems what so ever. I think your problem is due to the fact that XPM cannot be installed on a guest virtual machine trying to act as a host for another VM. However I may be wrong on this one.